Okay, you know that if you quit smoking, that’s a good thing. And the craze with electronic cigarettes is supposed to be a tool that helps you do that, another good thing. But did you know that there is danger in your e-cig, other than some health concerns that have been presented? 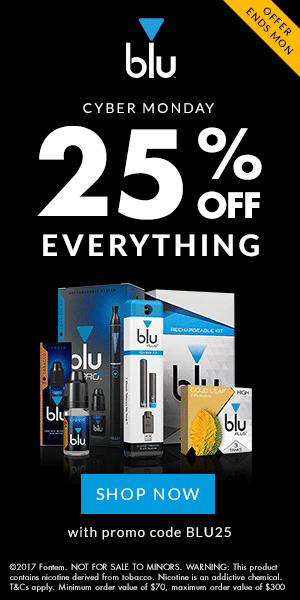 Electronic cigarettes could lead to your computer being hacked. And from there, it’s just a click here and there into your bank account, credit cards, and more. The trust in technology seems to always be on the border of, well, untrustworthy. With global attacks announced what seems to be almost daily, the fact that we rely on our computers so much, it is scary out there in the cyberworld. So, when word got out that electronic cigarettes could be used as code modifiers and hack into our computers, it created valid concerns. When you consider all the important and personal data that is on your own computer, it can become worrisome. Most electronic cigarettes are charged by the USB port on user’s computers. With a tweak here and a tweak there, the vaporizer can become a weapon and download numerous malicious payloads off internet. There was concerns like this when iPods were all the rage, which downloaded iTunes off the internet. A user could download iTunes from various websites, some which could have malware and viruses that would transfer to the iPod via the computer. And so, in a world where everything is connected can leave us with ramifications from staggering cybersecurity. Any security expert or strategist will tell you that that IoT is essentially broken. And while there is an eagerness for developers and manufacturers to release their new devices, they unfortunately overlook security issues. If the security in the IoT is to ever improve, a key requirement is to establish and follow interoperable open standards according to most experts, even small devices such as electronic cigarettes. Demonstrations recently have proven how a vaporizer is more than an alternative to traditional cigarettes. And while this discovery is amusing, it is also problematic because it proved that smokeless alternative device operates much like any USB device – which can be hacked. Yes, even your e-cig can used by a hacker to pass codes off to your computer and give it commands. While computers are ‘smart’, they must be told what they know, meaning, the hacker can tell your computer to collect your personal data and leave a calling card behind, otherwise known as a virus. 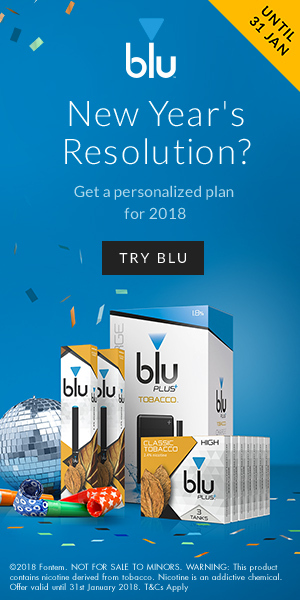 Fortunately, electronic cigarettes do not have a lot of memory, and as such, code that is too complex isn’t going to make it through to your computer. In addition, to beef up cyber security, most enterprises block using USB ports, prevent attacks like Wannacry. But regardless, vapers need to be cautious. While you may be doing your body a good thing by switching from traditional cigarettes, you could be putting your computer at risk. Yuck! Why Is Your E-Cig Tasting So Bad?! Getting ramped up for another work day …. Got your cup of java poured and your electronic cigarette fired up. And yuck! That first vape just isn’t right – what the heck?! What is that burnt taste sensation you’re getting and more important, why? There are several reasons why your e-cig could be giving you a burnt taste. And there are solutions to prevent that from happening too, which we are going to share with you. Chain vaping is when you vape without pausing. This is common among newbies as they are trying out their new gadget. And for many veteran vapers, they tend to get be a little over zealous with a full e-juice tank and the ignition knob. Chain vaping is hard on the coil because the wick isn’t allowed to absorb the e-juice after each puff. The result being a dried-out cord that gets burned. You can stop the burnout by stopping the chain vaping. Wait thirty seconds in between your puffs. If your chain vaping is easing your nicotine cravings, you should consider using a higher nicotine concentration in your e-juice to mollify that throat hit. Taking gentler puffs helps eliminate that burnt taste too or you could purchase two electronic cigarettes and alternate between them. If you’re experiencing that burnt taste with a fresh vape, it could be that you haven’t primed the coils. The coils need to be primed, even new coils. When you skip this step, you’re sure to have that burnt taste and that isn’t pleasant. It isn’t that hard really and worth taking the time! First you want to make sure the coil and your device are made to work together in regard to the watts limit. Too high of a wattage will burn your coil fast. Next, soak the coil in the e-juice before you place it in the tank. Third, trickle a tad of e-juice in each coil hole. Most coils have two small input holes: One on the side and a larger hole on top of the coil. Be sure you can see the wick through each opening and drop 3 drops of e-liquid in each hole. When the e-liquid is at the top, stop. Then let the coil sit for a few minutes before lighting up your e-cig. Do you practice high power vaping? High powered vaping does spoil your coils. Exceeding the stipulated wattage range (inscribed on the side of your coils) results in roasting or failing faster. Vaping at a higher temperature also causes vaporization of the e-juice quicker than the wick can absorb. Puffing of the vape pen more than often leads to the vape tasting burnt. If your electronic cigarette device has adjustable wattage, keep it in an average range, especially you’re a fan of taking long hits. And if you are a heavy vaper, meaning you vape all day, every day, then you may want to consider a rebuildable atomizer. Just like you shouldn’t let your car’s gas tank run low because it is hard on the fuel pump, same is to be said about your electronic cigarette’s tank running too low on e-juice. When the wick doesn’t have enough e-juice to absorb, you get that burnt taste. It isn’t worth trying to get the very last drop. Some e-juices can damage the coils and create blockages, common in e-juices that have a high sugar content or high concentration of VG. A high VG level has almost a glue-like substance which stiffens the wicks. Experts recommend vape juices under 70% for the best, long-lasting results. Reginald Harper owner of this blog, He created this website many year before to share all about E-cigs, Wax-Vape etc. Copyright © 2019, Wester Man Companies.